Improving access to our stations across the City network is an important program for Queensland Rail. It is part of our commitment to providing accessible rail services that allow all our customers to travel safely and easily. Queensland Rail is inviting stakeholders and customers to comment on the changes that are being considered and this information will be used to help inform detailed design. ^ the money spent on the recent 'upgrade' of Dinmore was well spent hey? Images seem stupidly small, but otherwhise they seem to have done a spot on solution in each case. Graceville a couple of lifts and re-uses the existing subway. Newmarket has a 3 level lift, serving both a new footbridge, and the existing subway. Ever noticed how the car park extension sits right against the face of the 3rd platform where a triplication would go through? Stafford families will soon have modern, accessible transport facilities with tenders to design the upgrade of two train stations now closed. Transport and Main Roads Minister Scott Emerson joined LNP candidate for Stafford Bob Andersen to inspect Newmarket train station and said it delivered on key election commitments. “We promised to revitalise frontline services and provide better infrastructure, and improving access at Newmarket and Alderley delivers, whether it’s for passengers with a disability, the elderly or mums and dads with prams and young children,” Mr Emerson said. “Labor’s only vision for public transport was to increase fares by 15 per cent a year, but we have a strong plan that will provide Queensland families with a brighter and safer future. “Works being considered include lifts, replacing footbridges, reconfiguring existing ramps, platform raising, extending platform shelters, upgrading accessible parking and a kiss ‘n’ ride. Mr Andersen said he was pleased the state government was listening to feedback from the community ahead of the $40 million accessibility upgrade. “It’s great to see the government working closely with the Accessibility Reference Group and community representatives to review priority stations and ensure all rail passengers are getting the facilities they require,” Mr Andersen said. Advocacy Advisor Liz Jeffrey said Vision Australia was pleased the government actively consulted specialist organisations to ensure accessibility was considered when planning station upgrades. “Consulting an organisation such as Vision Australia early in the planning process ensures that upgrades take into account the needs of people who are blind or have low vision and help make their independent travel as safe as possible,” Ms Jeffrey said. Construction works at Newmarket, Alderley, Graceville and Dinmore stations are expected to commence by the end of this year. Stations are prioritised for upgrades based on a number of factors, including current level of access, customer patronage, nearby accessible stations, and facilities in the local community. Make every electorate a marginal electorate and it is amazing how governments soon discover reasons why you need stuff they can provide. I thank the Member for Indooroopilly for the question. design is complete, the final scope for the upgrade of Graceville station can be finalised. Major upgrade works are expected to commence at the station late this year. completed and a contract is awarded for the work. These upgrades will significantly improve access to the stations for all customers including those with disabilities, the elderly, parents with prams, people with injuries or even simply those carrying luggage. Detailed design work is currently underway for upgrades to Nambour, Graceville, Newmarket, Alderley and Dinmore stations and initial planning is also underway for upgrades to Strathpine, Boondall and Auchenflower stations. An additional six stations will be announced in the near future. Which would be the others? I think my 6 would be. 1-Loganlea, due to proximity to the hospital. 2-Dakabin, because it's just full of problems, the locals hate it, and it could actually be a good park and ride. 3-Morningside, because the current ramp arrangement is just hideous and because it should be a bus interchange station. 4-Taringa, for patronage levels. PT usage in the suburb, and because the station really needs a proper rebuild....I think the solution for this station is to do something like Narangba and add an extra single sided platform cut into the hillside, and make the narrow island single sided. 5-Salisbury, part of a "run of three" without step free access, and is a logical one for allowing some local routes to become feeders. 6-Bundamba, again, part of a long run of non compliant stations, and has a TAFE. An easier one to do, because it can be managed with a single lift shaft and an overbridge that runs off the top hillside. Does anyone know of any stations requiring upgrades or ones that are currently going through one. A start on the Nambour Station upgrade is imminent, if the QR website information is up to date. "The design process is underway and construction is expected to start late in 2015 and finish in 2016. Routine maintenance at the station will also continue during 2015." In addition to the lift, which was a separate standalone project cancelled by the LNP government, the works now include accessible toilets, tactile surface, a section of raised platform and an additional shelter, plus CCTV and extra lighting. On the last point, Nambour Station can be a bit gloomy at night, away from the area in the immediate vicinity of the station building. The whole station could do with a pressure spray clean and some touch-up painting too. But I suppose the maintenance budget can stretch only so far. MILTON needs e-signage, at the entrances, at the Baroona Rd/Park Rd ends of the station. It does have it [albeit rather primitive] at the stadium end - apparently, the people who enter the station from the non-stadium end, all have ESP and know which platforms the next trains, heading to various destinations will arrive at! The Alderney upgrade has been planned for years. I'll believe it when I see it! Details of the Nambour station upgrade are yet to be communicated to staff. Asked about the nature of works and when construction will start, one person on duty said: "It's coming, but so is Christmas." I understand Nambour is only getting a platform hump. Incredible that this incompetence is still continuing. If they aren't going to do these properly, they shouldn't bother at all. At least Nambour is staffed, but how does somebody getting or or off an NGR set negotiate the drop if they didn't board in the right spot at stations like Grovely or Bethania? Guard is at the arse end of the train nowhere nearby. Found out that QR is undertaking a Timetable display replacement to LCD monitors for those stations that have the old style timetables such as at Indooroopilly, Auchenflower, Corinda, etc. That's a good idea Consistancy a must! LCDs Should be standard at the major stations of most lines, ie Mitchelton, Altandi, Landsborough, etc.. Combined bus & rail departures on the LCDs (like Richlands) should be at certain stations where it may be useful ie Landsborough (605, 615, 649 & all rail departures). What are the opinions on the best looking stations, and worst ones requiring upgrades really bad...? 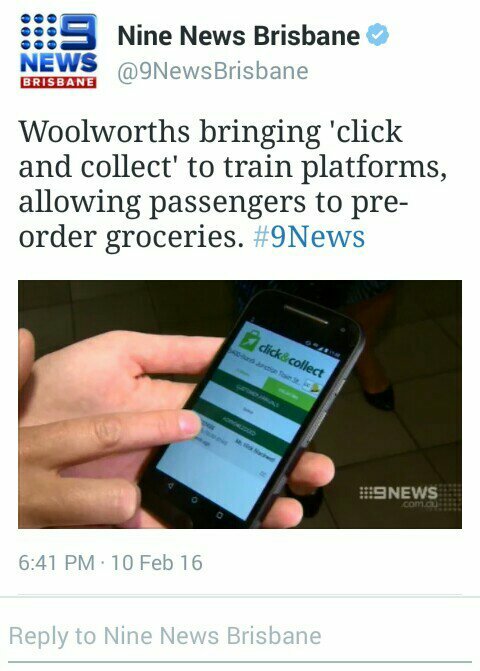 I just saw on 9news that Bondi Junction Station has received refridgerated Woolies Click and Collect lockers. Which are at the moment controlled by an attendant later with a keypad and pin. I'd say Roma St rather than Central - there's much more space there. True Roma Street needs something before its revamped. The busway station is there too. 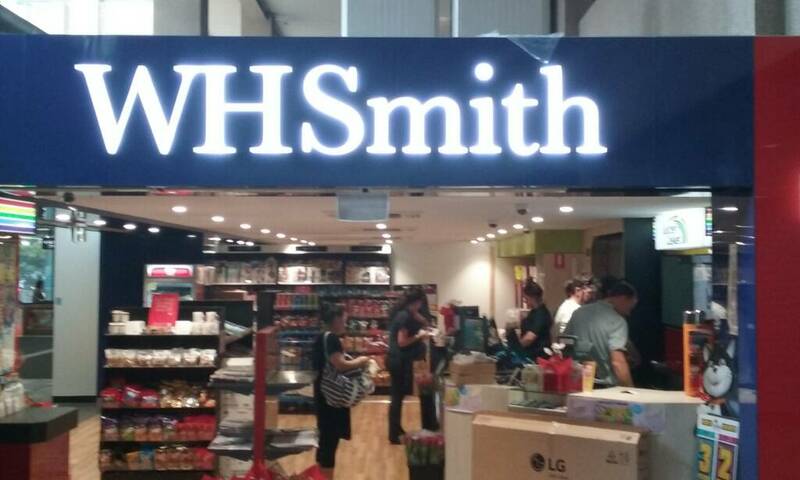 Coles and Woolworths Click and Collect would suit as well as Aus post parcel lockers! Collect your groceries, then hop on the packed train/bus? Wouldn't it be better at the main suburban stations? Petrie, Indro, Corinda, Ferny Grove, Mitchelton, etc? 1. Are people really that lazy? 2. If they are that lazy, wouldn't they just get home delivery? Is it really worth having them at stations directly adjacent to a major shopping centre like Helensvale, etc? 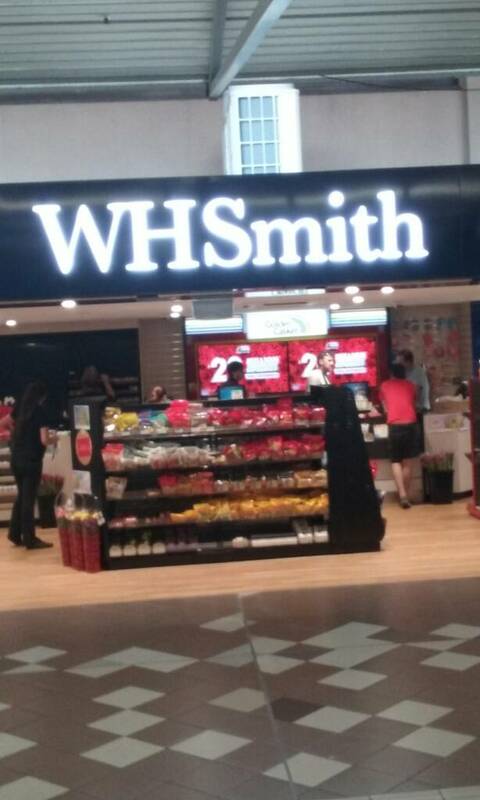 In those cases, why not just collect from the supermarket directly when they're co-located with the centre? Yes, I think thats what the people want. As people at work cannot lock in a delivery window at place of residence. Its easier with kids no more shopping with kids chucking tantrums in the supermarket. I myself dont mind going into a new modern supermarket checking out the layout and shop fit out and seeing whats available. I think QR along with Translink should contact Coles, Woolworths, IGA, Office Works, DHL, Fedex, Auspost. with invitation to install test lockers at key locations throughout the network. It will be good to have a few brands alongside not just a one brand monopoly as testing in NSW. Because they would have access to layouts of Busway Tram and Train stations for the best available space and could put out for tender for those potential sites. They could charge a fee for the lockers taking up space and could use it as a marketing campaign to encourage PT use with the ease of picking up groceries or a parcel bought on the web. On Wednesday 24th Feb, will probably head out to Thomas St and Wulkuraka stations for a more detailed look. Both these stations have had upgrade works. Might then head out to Rosewood for lunch. Timings: 8.05am ex Goodna (departs Central 7.28am). Ipswich 8.35am Thomas St 8.37am. Trains for Ipswich depart from Rosewood 5 min past the hour. I'm still hopeful of a safe and accessible option for either Salisbury, Rocklea or Moorooka stations before I no longer require it. The bounce, bounce then engage wheel lock that multiple types of large wheeled strollers do as you ascend backwards has put me off taking young kids via rail to/from these stations. For safety reasons, I'll continue using the bus even if it takes longer. I'd be happy with a ramp for the time being. I envy those between Coopers Plains and Kuraby with their accessible stations. Would be interesting to see if Auspost or others have attempted to contact QR for some of these things. Like at Ferny Grove I expect they wouldn't have - the parcel locker is located just across the creek into Ferny Hills because that's where their parcel/mail distribution point for the area is. The few times I've used it, I think there were more people picking up from the parcel window rather than the 24/7 parcel locker. Think putting it central to where people going home will see it would help uptake though. Presently at Thomas Street. Went for a stroll to the bridge..